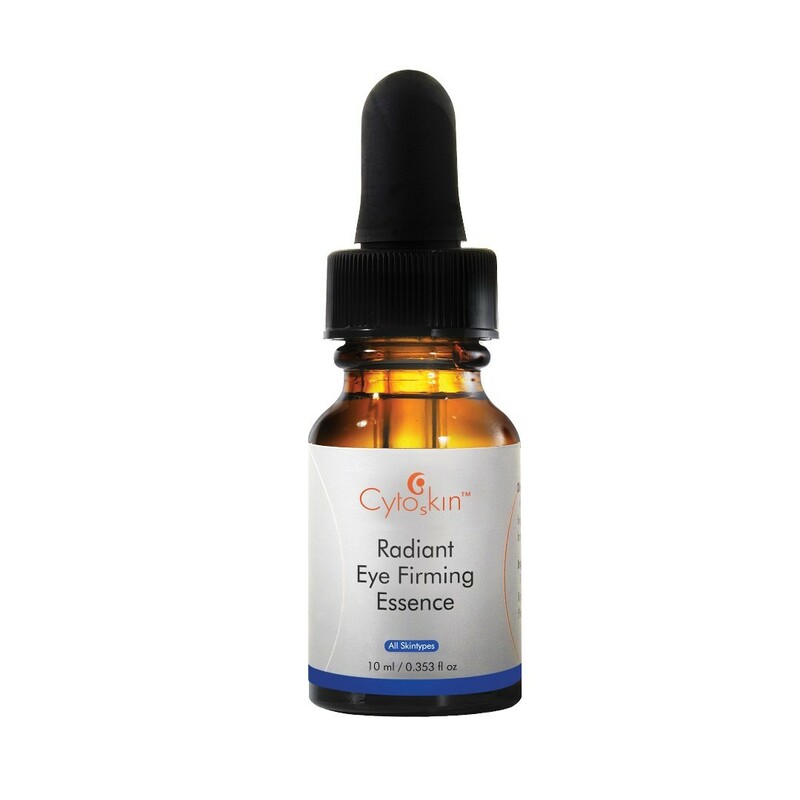 Product Features Improves skin metabolism and stimulates fibroblast to promote collagen elastin synthesis, Helps to minimize crow’s feet, tightens eye area and lifts up contours to reduce eye puffiness. Also, its anti-oxidative and melanin inhibition effects allows it to correct dark eye circles caused pigmentations. Ideal for all skintypes. Key Ingredients Soy Peptide By stimulating fibroblast proliferation and increasing collagen and elastin synthesis, it helps restructure collagen bundles in dermis as well as produce an anti-wrinkle and lifting effect. Oryza Sativa (Rice) Bran Peptide Activate renewal of skin cells and promote cell division to remove dead and rough keratin. Also regulates melanin production to correct dark eye circles caused by pigment deposition. Oxido Reductases Possess powerful anti-oxidative effect, able to neutralize free radicals inside our body. Prevent oxidation process which leads to skin aging problems like laxity and pigmentations. Seaweed Extract Promote skin metabolism, enhance cells renewal to give tightening effect and smoothen fine lines. Also form a hydrating shield to protect skin's natural moisture barrier. Hyaluronic Acid A glycosaminoglycan which responsible for retaining inter-cellular moisture. Able to penetrate into dermal layer and provide deep moisturizing effect. 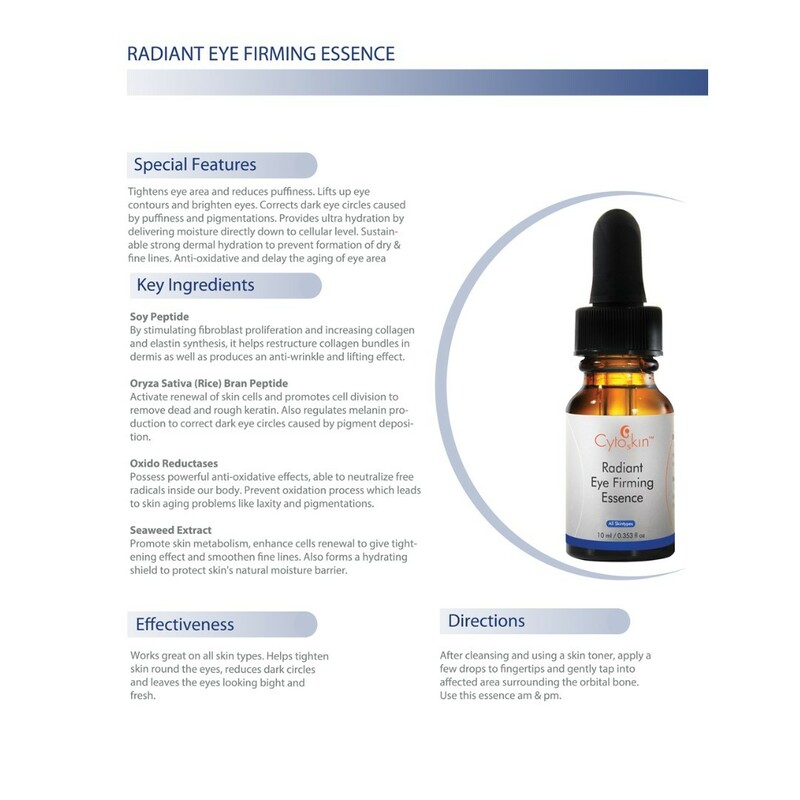 Benefits Tightens eye area and reduces puffiness Lifts up eye contours and brightens eyes Corrects dark eye circles caused by puffiness and pigmentations Ultra hydration by delivering moisture directly down to cellular level Sustainable strong dermal hydration to prevent formation of dry fine lines Anti-oxidative and delays the aging of eye area Directions Direct apply: After cleansing and using a skin toner, apply a few drops to fingertips and gently tap into affected area surrounding the orbital bone. Use this essence am pm. Induction treatment: Utilize derma roller or other induction systems to further improve essence absorption.